Banca Transilvania made 340 million RON (102 million euros) net profit last year, 2.8 times higher than in 2006. A large portion of the profit came from the sale of BT Asigurari, Ziarul Financiar Reports. Out of gross profit worth 403.7 million RON (120 million euro), 173.5 million RON (52 million euros) came from the sale of the insurance unit. The bank's operating income tops 230 million RON (68.8 million euros). "2007 second quarter was better than the first and we want to continue our strategy to develop and boost profit in 2008, as well. In terms of financial results, client portfolio, capital and resources, we are starting this year on a solid footing," says chief executive Robert Rekkers. He added that the international financial turmoil did not affect the operations of the bank. Last year, the bank's total assets increased by 71% from 13.8 billion RON (3.75 billion euros), and equity capitals rose by 54% to 1.48 billion RON (400 million euros). The bank set aside reserves worth 76.4 million RON (20.6 million euros) at the end of last year, twice as high against the end of 2006.
Credit portfolio increased by 75% last year to 8.56 billion RON (2.37 billion euros), of which 59% account for loans to legal entities and 41% for loans to individuals. The resources attracted from clients have increased by almost 82% to 10.58bn RON (2.93 billion euros). The bank's investments totaled 85 million RON (25.4 million euros) last year, after 116 new branches opened doors. 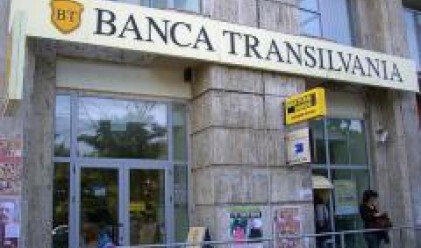 Banca Transilvania's territorial network thus increased to 457 branches and the number of employees went up by 1,300, to more than 5,800. The bank continues to rely on international financial institutions' support for funding streams, after it received 105 million euros in total funding from EBRD, EFSE and ABN Amro Bank Romania last year.